I've enjoyed the rainbow effect of colour-themed collage images on my homepage recently, so I thought I'd share my latest work. I find the process of sifting paper and deciding what stays and what goes to be delightfully meditative and almost more important than the outcome. Collage for me is a true case of 'enjoy the journey'. 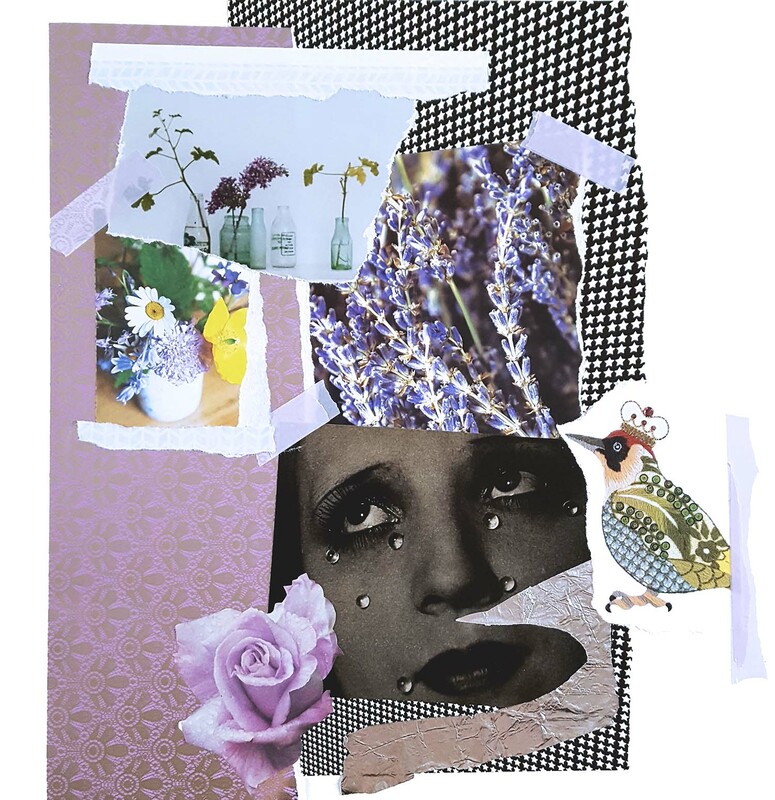 My first attempts at collage (circa 2014) were very busy and took a long time as there were that many pieces to stick down, but recently I've tried to pare back my designs and try to stop myself from adding 'that final last touch'. Also somewhat tricky to source purple images, this is quite a spring-effect mish-mash of florals which I like, especially the lavender. I don't always want to feature women experiencing sadness, but this just seemed to fit. I called it 'PURPLE REIGN' because the little birdy is wearing a crown. 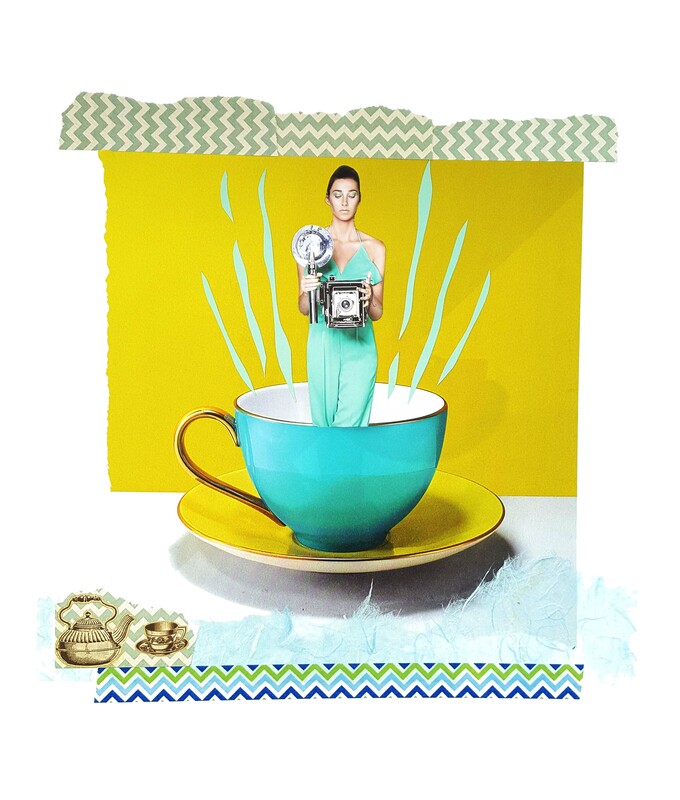 One of the quickest collages I've made and also a strong contender for most minimalist.I love the contrast of the aqua and the olive green and the idea of paparazzi bursting from a teacup. It's called 'AQUA TEA' because I'm very inventive with names. Some people are purists and only use paper or card, whereas I love the full monty of a mixed-media piece and have no qualms about adding 3D elements if they fit the theme or look I'm going for. But then does that fit with the 'less is more' aesthetic? Not really, but the main thing is producing something you like and that makes people smile and perhaps even connect with the work on a deeper level. Sometimes it works, sometimes it doesn't! 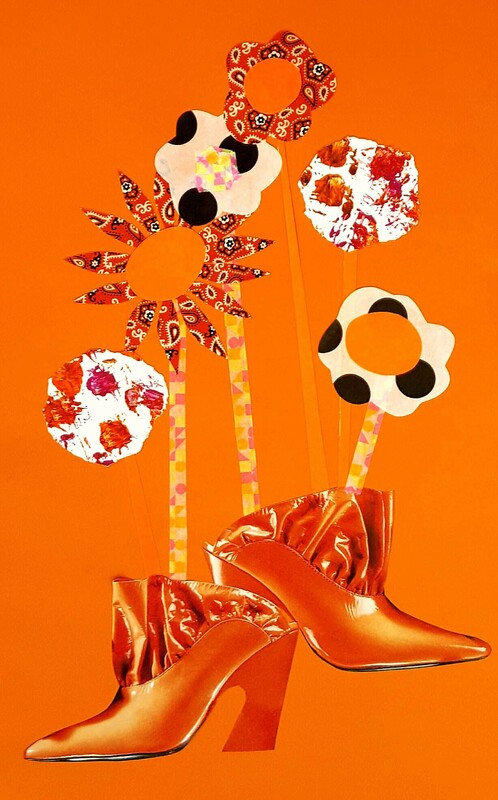 Join in with the weekly themes and challenges in The Collage Club.